Haunted Mansion Pressed Coins are Materializing in New Orleans Square! Disneyland Resort’s New Orleans Square has a new ghoulish contraption hanging around. A new Haunted Mansion Pressed Coin Machine can be found at Port Royal Curios and Curiosities. Which coin will you materialize, foolish mortal? Muahahaha! Want to go to Disneyland or Walt Disney World? Let me help you get there! I am an Authorized Disney Vacation Planner. As an agent with MickeyTravels, I’ll be on hand to help with everything from finding your perfect package to nabbing those hard-to-get dining and Fastpass reservations. Best of all my services are absolutely FREE. Find me on Facebook or Instagram for some extra Disney Magic. Feel free to email me with any Disney vacation questions you may have at menglund@mickeytravels.com. Megan is a wife, mommy, and Disney lover. She participated in the Disney College Program working at Liberty Tree Tavern in 2010. Megan has been to Disneyland and Walt Disney World many times as a toddler, child, teenager, college student, and most recently as a wife and mom. 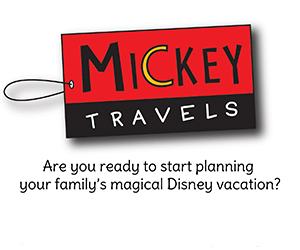 Megan has turned her love for Disney into a career by helping families create magical Disney Vacations with MickeyTravels.